Priced to move asap, LOWERED 20K in March 2019, will not last! Gated, secure community, this home is closest to the pools as well as beach access. Sold w. all furnishings, owner is distressed, house needs some minor maintenance, but mainly needs a new owner to make it shine! Construction is extremely solid steel reinforced concrete block. 3 bedroom, 3.5 bathrooms, side yard as well as courtyard. Secure popular community as security and common areas are excellent, HOA fees are only $200 a month (includes gardener). Everyone walks, rides bikes or golf carts to the beach. Beach at Bejuco is pristine and beautiful, and shopping, restaurants, bars are within one mile. 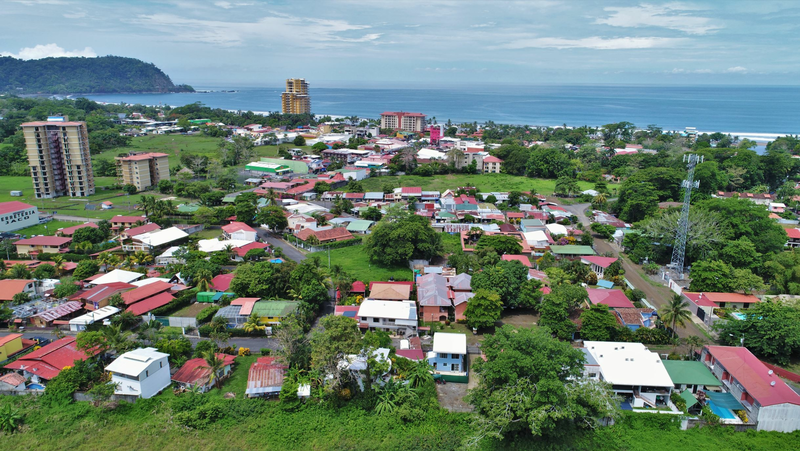 The beach city of Jaco is located 20 minutes to the north and town of Parrita is even closer at ten minutes to the south. Call or write now for more info.